﻿ Waltz Tours & Travels Pvt. Ltd.
Chhapaiya is a village in Gonda District in the state of Uttar Pradesh about 50 km from district headquarter Gonda and 40 kilometers from the major city of Ayodhya. Its singular claim to fame is as the birthplace of God Swaminarayan. Swaminarayan (1781 - 1830 CE) was incarnated here on 2 April 1781 as Ghanshyam, making this village a pilgrim place for his followers world wide. 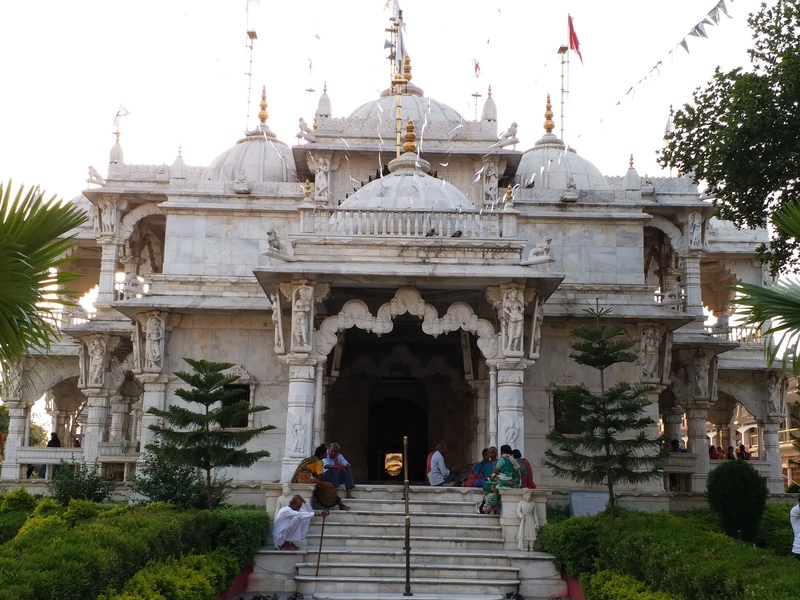 Akshardham temples in Ahmedabad & Delhi (New Delhi) are dedicated to Swaminarayan. Gujratis are the main followers of this sect and regard Chappiya as a very sacred place to visit. There are legends associated with places like Birth Place, Gangajal well, Narayan Sarovar, Dharmadev Bhaktimata Oata, Kalidatt Oata, Three cornered filed, Min Sarovar, Bhutio (ghost) well, jira bhari Talao. Jambu tree, Moksh pipal, Khapa Jalavdi, Kalyan sagar, Gay ghat, Shravan talavdi, Makhoda ghat, Ram sagar etc. It is the sacred wish of the followers of the sect to visit these places once in life time. One of the major wildlife sanctuaries attractions of Uttar Pradesh, Nawabganj Birds Sanctuary is a great weekend trip from Kanpur. The small sanctuary, spread in an area of 3 sq km, attracts hundreds of migratory birds species during winters. The sanctuary is mainly the area around a shallow lake The lake forms a perfect place for the migratory and water birds for a long stay. As a part of conservation of lake and its surroundings, Government of Uttar Pradesh declared the area as a sanctuary in 1984. The picturesque sanctuary is an ideal for photographers and picnic lovers. 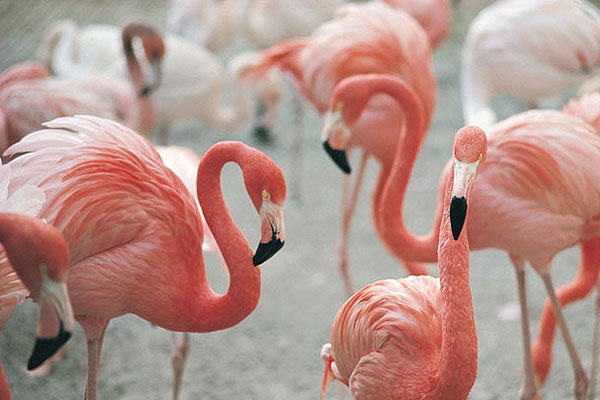 To enhance the knowledge of visitors regarding birds, an Interpretation Centre is established in the Sanctuary. It has the provision of film shows related to wildlife. A motel, restaraunt and small eateries around the sanctuary makes it an ideal location for a great weekend trip. It is a welcome pause midway on the Lucknow-Kanpur highway, with a sparkling lake and a vast green expanse. It is famous bird sanctuary which is known to host Siberian cranes among scores of migratory bird species that rest here during the winter months. This pleasant wetland is also home to hundreds of Indian and migratory birds. The sanctuary also houses a deer park, watchtowers and boats. Famed as the birth place of Lord Ram, it is an important pilgrimage centre situated on the right bank of the river Saryu, about 110 km from Lucknow. For centuries, it was the capital of the descendants of the Surya dynasty of which Lord Rama was the most renowned king. Ayodhya during ancient times was known as Kaushal Desh. 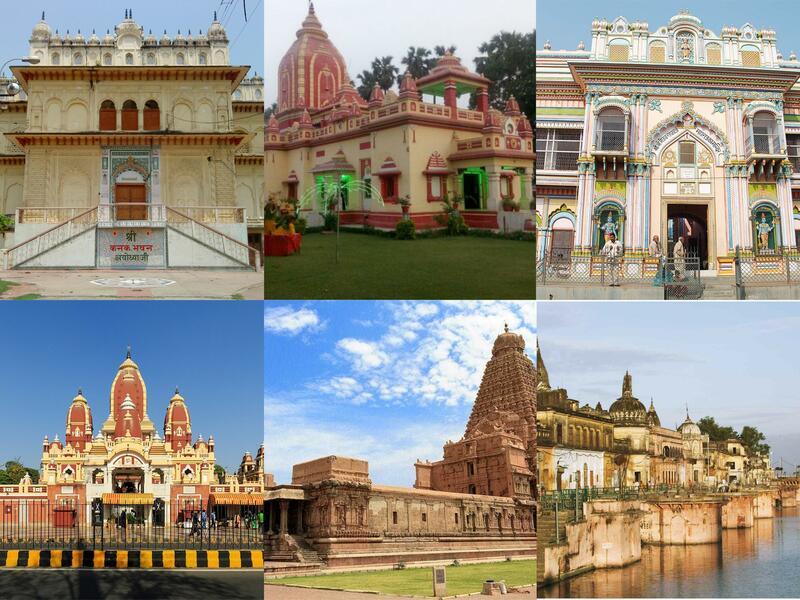 Skand and some other Puranas rank Ayodhya as one of the seven most sacred cities of India. Ayodhya is pre-eminently a city of temples. Remnants of Hinduism, Buddhism, Jainism and Islam can still be found in Ayodhya. According to Jain tradition, five Tirthankaras were born at Ayodhya, including Adinath (Rishabhadeva) the 1st Tirthankar. Ramkot, Hanumangarhi,Kanak Bhawan and Suraj Kund appear to spring up from pages of history. The Saryu is a sacred river and finds mention in ancient scriptures. 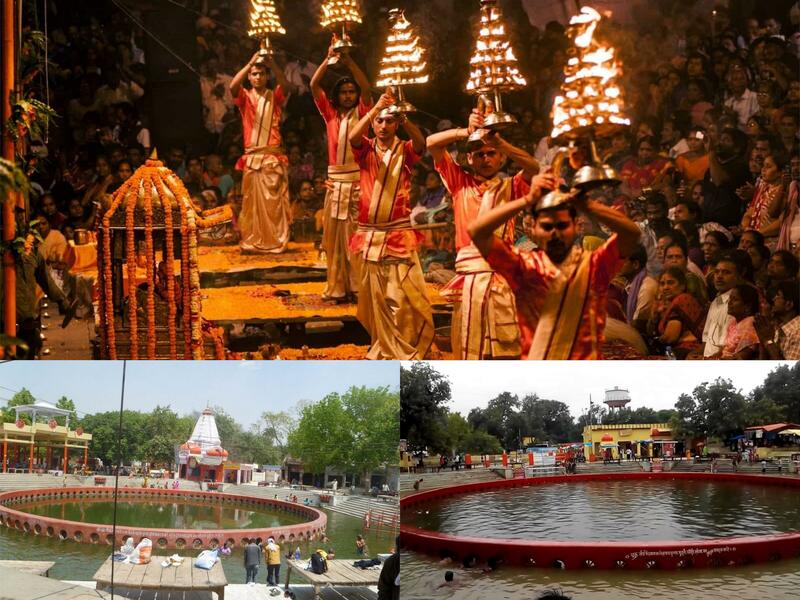 Hundreds of devotees come here to take a holy dip in Saryu throughout the year on various religious occasions. A small temple town on the outskirts of Kanpur, on the bank of the Ganga, Bithoor is a tranquil place full of religious and historical significance that is ideal for a peaceful day out. It dates back to ancient times and its past is wrapped in legends and fables. It is believed that after the destruction of the universe and its subsequent restoration by Lord Vishnu, Bithoor was chosen by Lord Brahma as his abode. It is also the birth place of Lord Rama's sons, Lav and Kush. It is here that day spent their childhood. Bithoor is also known for its association with historical figures such as Rani Laxmi Bai and Nana Saheb Peshwa, who played an instrumental role in India’s freedom struggle. Bithoor offers a grand view of the vast expanse of the Ganga on sunrise and sunset, besides pilgrimage and historical sites such as Valmiki Ashram, Brahmavart Ghat, Dhruv Teela and Nana Saheb’s palace. This National Park is situated in the Tarai foothills in Lakhimpur Kheri district bordering Nepal, about 265 km from Lucknow. Dudhwa Tiger Reserve is one of the finest examples of the few remaining exceedingly diverse and productive Tarai eco-system. The northern edge of the reserve lies along the Indo-Nepal border and the southern boundary is marked by the river Suheli. Dudhwa is home to tigers, leopards, varieties of deer, antelopes and elephants amid thick green forest and grassland. Being a quiet, tranquil and green nest, Dudhwa is a bird watchers' heaven, Dudhwa is also noted for its wide variety-about 400 species. Naimisharanya, 95km from Lucknow, is regarded as one of the most sacred places of pilgrimage. Situated on the bank of the Gomti river, Naimisharanya is believed to be known since ancient times and it is the holy place where many sages performed their penance. Chakratirth, Vyas Gaddi, Suraj Kund, Pandav fort, Hanuman Garhi and Lalita Devi temple are places of worship here that attracts a large number of devotees. For pilgrims, parikrama of Naimisharanya has great significance. It is held every year in the month of March. Dewa Sharif is a town and a nagar panchayat in Barabanki district in the state of Uttar Pradesh, India. It is famous for the shrine of Haji Waris Ali Shah. 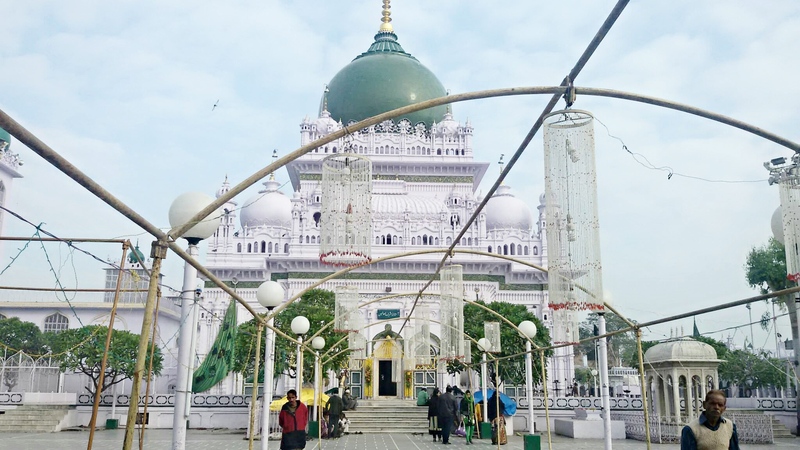 This town is also known by the name of Dewa Sharif in respect for the shrine. It a Nagar Panchayat. The state government formally recognises Dewa Sharif as a town with a linguistic minority population, where speakers of Urdu constitute 15 per cent or more of the local population. It was placed as one among the prominent sites in Heritage Arc of U.P. Copyright © 2018 WaltzIndia. All Rights Reserved.